132 EOTC – Faith Still Strong One Year Later! I am so delighted to have Wayne Jacobsen join us once again here on Encouraging Others Through Christ. This time around, Wayne and I discuss what a life of faith might look like for those who are not a part of an institution. In our conversation, I mention a blog post I recently wrote about this subject. You can read that post by clicking here. 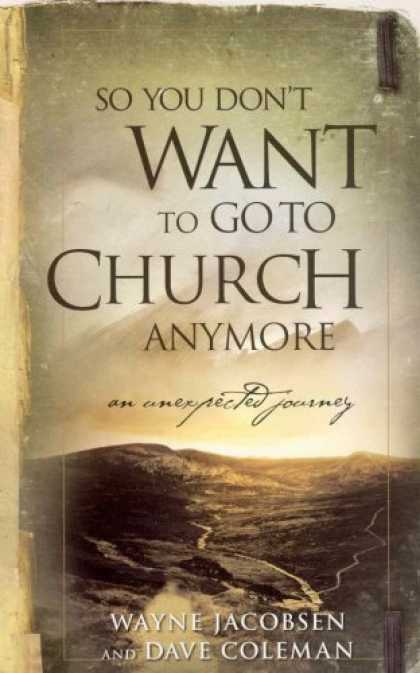 Of course, I can't pass up this opportunity to plug Wayne's book, “So You Don't Want To Go To Church.” Those who have been following my journey know just how much of an impact that this story had on my journey. Previous post: 278 Feedburner Fear Fiasco – Flat Fee or Pay Per GB – Interview Tip – The Return of MySpace And More!